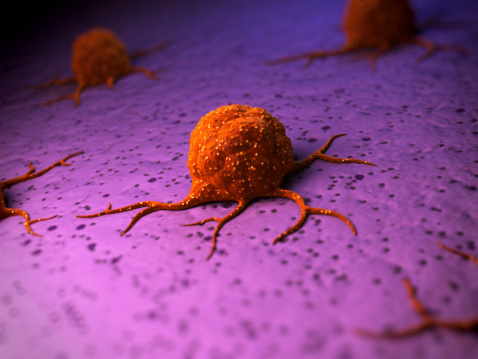 In a new study published in the journal Stem Cell Reports, researchers suggest that by targeting dormant colorectal cancer cells instead of active tumor cells, they can control stem cell behavior that leads to the spread of colorectal cancer. The new study, led by researchers at the University of Melbourne in Australia, focused on the activity of Frizzled7—a cell surface protein that receives signals from outside of the cell. Research has already established that crypt base stem cells have a receptor called Lgr5, which plays an essential role in triggering cancer. The team concluded that if you eliminate Frizzled7 while the cells are dormant, they won’t be able to cause the tumor to grow. The key is to try and catch those cells in a dormant state. Researchers concluded that the next step is to find a way to target Frizzled7 and develop antibody treatments. Colorectal cancer is the second leading cause of cancer deaths in the U.S. By the time colorectal cancer is detected, the cancer cells have spread to other organs and remain dormant. They can remain dormant for years until they are triggered and grow into tumors, which can then become fatal. Paddock, C., “Targeting dormant cells may halt colorectal cancer spread,” Medical News Today web site, June 30, 2015; http://www.medicalnewstoday.com/articles/296051.php.